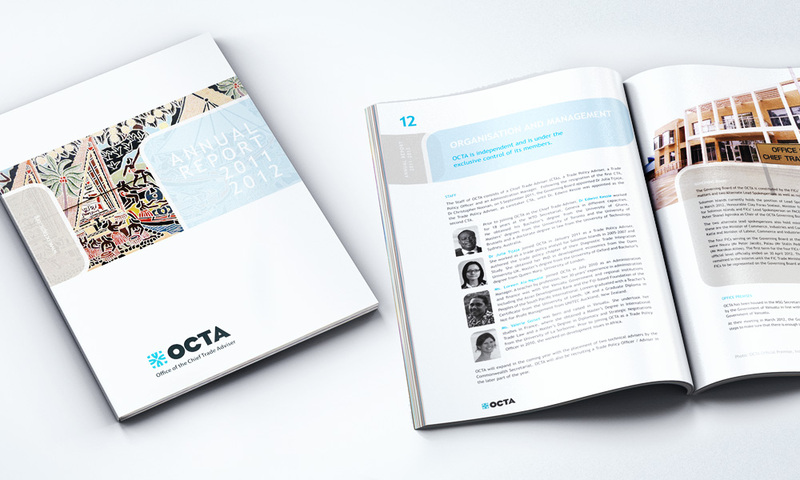 In contrast to other corporate design work, this client wanted to achieve a brighter and more friendly design for their annual report. In order to achieve this Pandanus designed a layout that not only was colourful but incorporated many images. 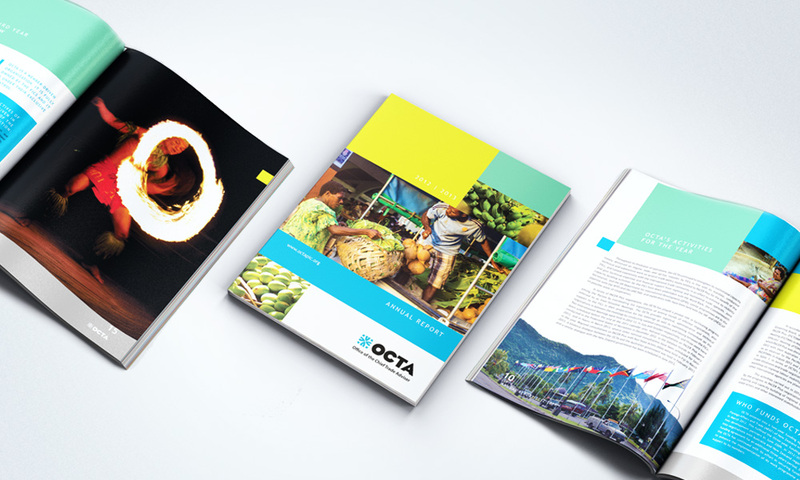 These images provide a visual representation of the work performed by OCTA and allow outside readers a real life view of Vanuatu. The resulting annual report document still retains the professional and corporate feel desired by the client.